In 2018, smartphone manufacturers competed to see who could release the smartphone with the thinnest bezels—but not Sony. We crowned the Sony Xperia XZ3 the anti-2018 smartphone because it bucked the big design trends of 2018. 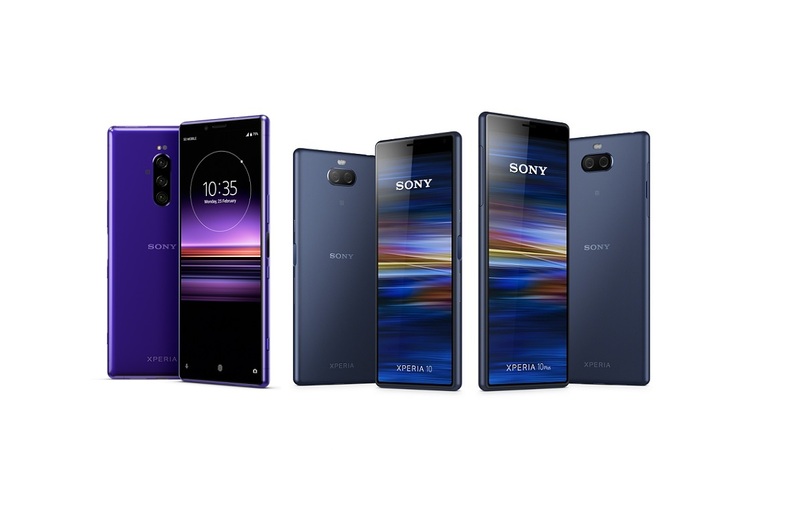 With the new Sony Xperia 1, Xperia 10, and Xperia 10 Plus, the Japanese smartphone maker has once again forged their own path while others compete to build the best 5G-enabled or foldable smartphone. All three of these smartphones have incredibly wide 21:9 displays and large top but thin bottom bezels, but the Xperia 1, in particular, caught our attention since it’s the first smartphone with a 4K OLED display. Sony Xperia smartphones and OLED panels have not had a long history together. In early 2018, we heard a rumor that Sony would release a smartphone called the Xperia XZ Pro with a 5.7-inch 4K OLED display. Though that smartphone was never released, Sony did end up releasing the Xperia XZ3 later that year with an OLED panel, a first for the Sony Xperia brand. We praised the Xperia XZ3’s OLED panel in our review for its good brightness levels and near-perfect color reproduction. With a 6.5-inch 4K OLED, the Sony Xperia 1 will have the highest PPI out of any OLED smartphones on the market—approximately 642 given a resolution of 1644×3840. In comparison, the Samsung Galaxy S10 has a PPI of 550 with a QHD+ resolution. The main benefit of including a higher resolution panel is improved clarity in supported content like YouTube videos. Past Xperia phones didn’t always render content at 4K to improve performance and save battery life, instead choosing to push 4K only when necessary. Unlike 4K, though, it’s harder to see the benefit of a 21:9 ultra-wide aspect ratio. Given the increasing popularity of ultra-wide 21:9 desktop monitors, though, there’s content in services like Netflix, Amazon Prime Video, and YouTube that supports this aspect ratio. Furthermore, a wider aspect ratio will yield benefits in mobile games like Fortnite Mobile or PUBG Mobile, where having a wider peripheral view gives the player a better sense of their surroundings. Lastly, split-screen multitasking should benefit from the wider display, since each half can stretch far down the display. The downside, of course, is that portrait mode use may be difficult. The Sony Xperia 1 sits in between the 6.7-inch 5G Samsung Galaxy S10+ and 7.2-inch Huawei Mate 20 X in terms of height, even though its display measures 6.5-inches diagonally. 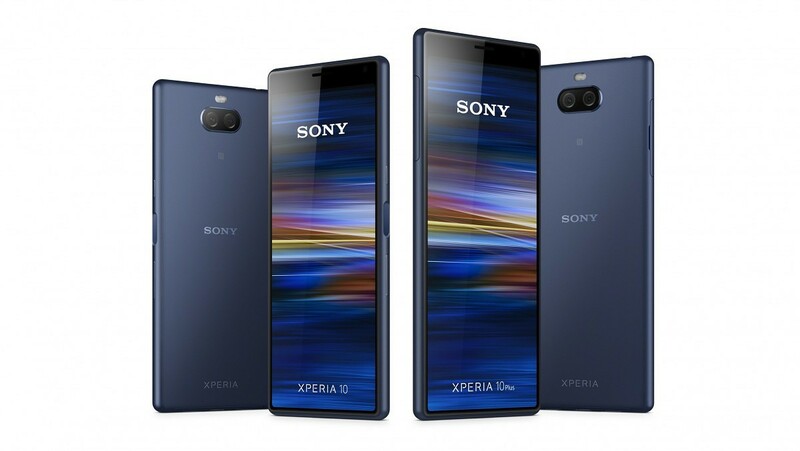 The Sony Xperia 1 is a premium flagship smartphone, and it has new hardware features and software experiences that Sony hopes will justify its retail price tag. First, the company states that the Xperia 1 has a “Creator Mode” powered by CineAlta, Sony’s digital movie camera brand. Sony states that this mode is inspired by Master monitor color reproduction and uses “industry-leading technology to ensure consistent color reproduction.” It’s said to be similar quality to what filmmakers use. Next, the “Cinema Pro” mode helps you create cinematic videos in 21:9 at 24fps. Third, Sony has packed an X1 chip to bring BRAVIA color and contrast to everything you watch on screen, and the Android UI is upscaled to 4K. Fourth, the company has a new RAW noise reduction algorithm which promises up to 10fps AF/AE tracking. Furthermore, the Xperia 1 has eye AF for better focus when taking portrait mode or high-speed shots. The Xperia 1 has a triple rear camera setup comprised of a 12MP wide-angle lens, a 12MP telephoto lens, and a 12MP super wide-angle lens with focal lengths of 26, 52, and 16mm respectively. Both the wide-angle and telephotos lenses support OIS. The front-facing camera is a single 8MP sensor. The device is powered by the latest Qualcomm Snapdragon 855 mobile platform, 6GB RAM, 128GB of expandable storage, and a 3,330mAh battery with USB Power Delivery 3.0 support. For gaming, the Xperia 1 has a game enhancer feature which consolidates your games in one place, lets you record gameplay, and find tips online. The device also has stereo speakers and audio features like Dolby Atmos and Sony’s Dynamic Vibration System to improve gaming experiences. Sony’s high-quality LDAC Bluetooth audio codec is, of course, supported on the Xperia 1. Lastly, the Side Sense feature makes a return. Side Sense allows to the tap your fingers on the edge of the display to launch a sidebar of applications or trigger a quick action. Sony is targeting a late Spring launch for the Xperia 1 in the United States. The device will be available in Black, Grey, White, or Purple. The Sony Xperia 10 and Xperia 10 Plus are Sony’s latest mid-range offerings for those who are looking for a more affordable smartphone in early 2019. They are replacing the mid-range Sony Xperia XA2 lineup from 2018. The main differences between the two devices are the size, RAM, secondary rear camera, chipset, and battery capacity. Also, the Xperia 10 has a pink color option while the Xperia 10 Plus has a gold color option. Both devices have wide 21:9 FHD++ LCDs, Android 9 Pie, side-mounted fingerprint scanners, headphone jacks, and 64GB of expandable storage. The Sony Xperia 10 and Xperia 10 Plus will launch on March 18th for about $350 and $430 respectively in the U.S. The U.S. will only get the Black and Silver color options, though. This article was updated at 04:09 AM ET on 2/25/19 to correct the Sony Xperia 1’s resolution and PPI. We regret the error.